North Carolinians ought to be outraged at that price tag — and the reason for it. 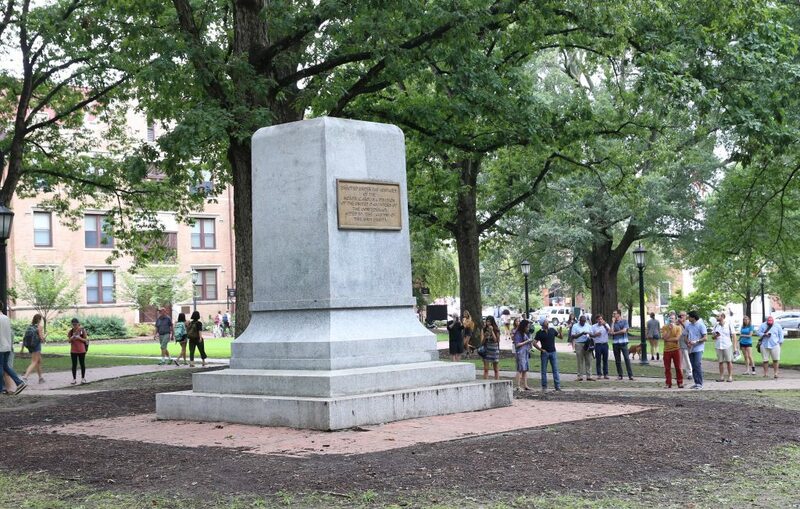 As the new report outlining the proposal makes clear, UNC considers itself quite literally besieged by radicals — many motivated by causes far afield from racial comity or historical accuracy, such as anti-capitalist revolution — who are willing “to use violence to further their political goal,” as one official put it. Although this observation was made without criticism, as a general statement about the inadequacy of campus law enforcement across the country, it rings a bit hollow for anyone who watched the video of Silent Sam’s toppling. Police officers did nothing to stop what was essentially a slow-motion crime happening before their eyes. Indeed, they seemed intentionally to stand back from it. Why? Again, the report offered some clues. For one thing, because state universities are open to the public and routinely the site of nonviolent protests of various kinds, normal campus operations are poorly suited to the task of combatting the likes of cadres of masked anarchists with ropes and torches. The “crowd control tactics generally employed by law enforcement” to handle such threats “are fraught with sensitivities over any use of force by police” in places such as Chapel Hill. You have likely heard and will continue to hear lots of discussion about Julian Carr’s appalling speech at Silent Sam’s unveiling, what historical artifacts mean to various audiences today, the role of the state legislature in limiting the relocation of monuments, and alternative ways the university could have used the millions of dollars it proposes to spend on the University History and Education Center (a concept, by the way, that has been on the drawing board for years). But the immediate issue is the rule of law itself. Those desiring an alternative home for Silent Sam, or none at all, had a range of reasonable options available. They could have continued to press lawmakers to change the controlling statutes. If they truly believed the continued existence of the monument created a hostile educational environment under federal law, they could have sued. Or they could have brought greater public attention to their cause by engaging in true civil disobedience, such as sitting or standing around the monument and inviting arrest. Instead, a mob took the law into its own hands, committing crimes while endangering participants and bystanders alike. Law enforcement was either powerless, unmotivated, or not allowed to stop the mob. Silent Sam’s proposed new home will not be a shrine, as some critics have labeled it. It will be a fortress, built to fend off physical attack. Does that anger you? It should. As should the attackers who created this mess.